Advancement of the ISC-GEM Catalogue – bringing additional station data, complementing the catalogue with smaller earthquakes and fault plane solutions from the literature. Following its move to the ak135 velocity model and the new location algorithm (ISCloc), the ISC has been involved in rebuilding the ISC Bulletin. On completion, the rebuilt ISC Bulletin will include many additional data and have improved ISC locations computed using a consistent method. 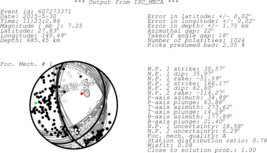 The CTBTO link to the ISC database is a collection of tools for manipulating the seismological datasets maintained at the ISC. These include the ISC Bulletin, the IDC Reviewed Event Bulletin (REB), the EHB Bulletin and the IASPEI reference events. The link provides details on seismicity, frequency-magnitude distributions, network hypocentre comparisons, individual station data and waveform request tools. 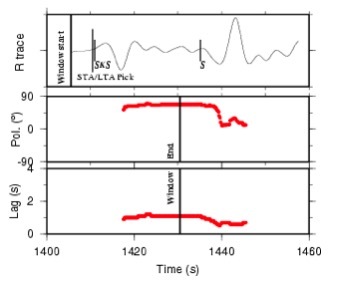 Automatic focal mechanism solutions based on first motion polarities from the ISC Bulletin and auto-picked polarities from available waveforms. During 2002-2003, the ISC and the School of Earth Sciences of University of Leeds undertook a joint project to automatically measure shear wave splitting. The original plan was to ensure that the new measurements continue to be made and included in the ISC Bulletin after the project concludes. Despite a general success of the project, automatic SKS-splitting measurements were never made operational at the ISC. We nevertheless continue providing an access to a set of quality results achieved under this project. 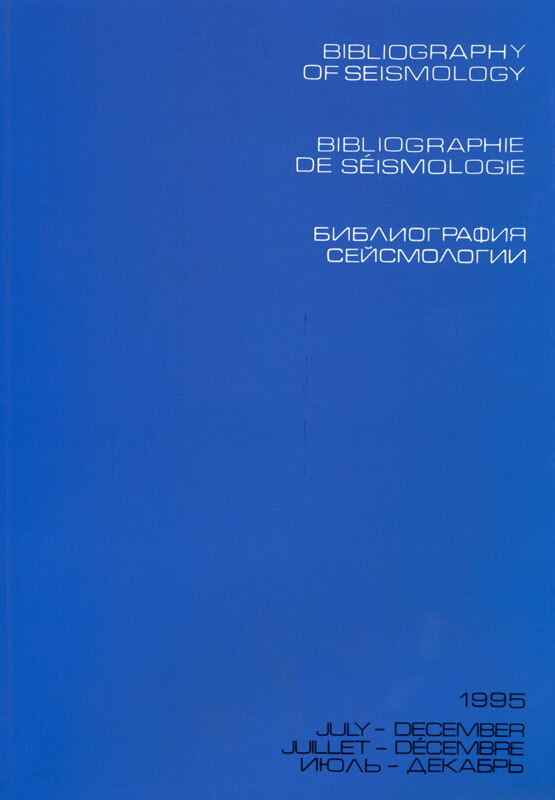 This form provides a rudimentary search of the database from the Bibliography of Seismology. The database was compiled by the Canadian Dominion Observatory for 1956 to 1964 and by the International Seismological Centre for 1965 to 1995.